There are many types of hardwood flooring and it is hard to determine what is best for your home. How you will use the room. What color of existing woodwork. The anticipated wear and tear. And which style appeals to you. All factors that need to be taken into consideration when choosing a hardwood floor. Kermans hardwood floor staff is here to help as you consider these different types and styles of hardwood. 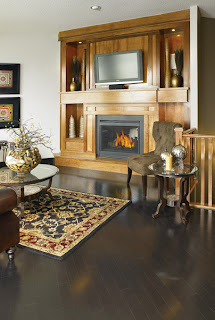 See samples in our hardwood gallery. Typically milled from a ¾ inch thick piece of hardwood. It can be sanded and refinished for a lifetime of use. 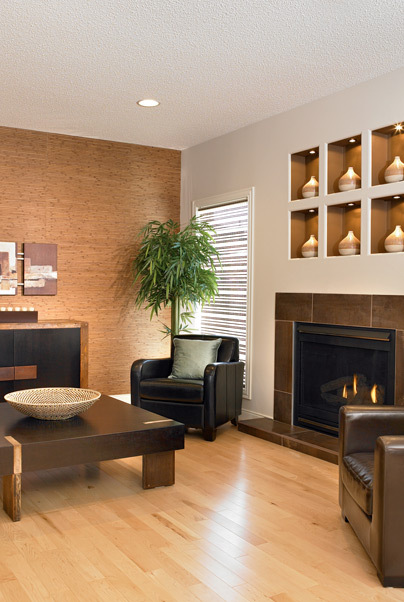 You can choose between domestic and exotic wood species giving you a wide selection of colors and grain patterns. 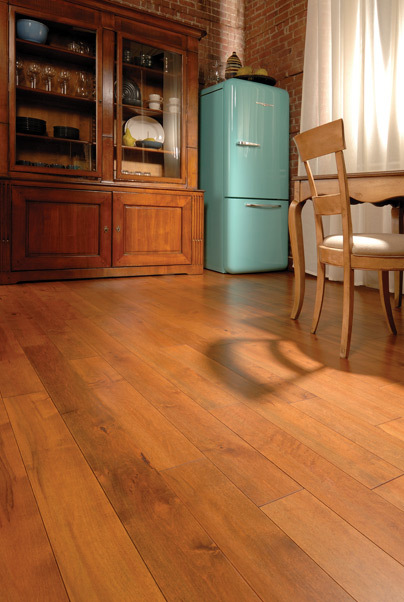 Most common types of wood floors are Ash, Cherry, Maple, Oak and Pine. Engineered wood floors are generally manufactured with 2, 3 or 5 thin sheets of wood that are laminated together to form one plank. This cross-ply construction creates a wood floor that is dimensionally stable and less affected by moisture than a traditional solid wood floor. Cross-ply construction stops the plank from growing or shrinking with changes in humidity. Another key advantage is versatility. Most engineered floors can be nailed down, stapled down, glued down or floated over a wide variety of subfloors, including some types of existing flooring and concrete slabs. Cork represents a special kind of flooring because it comes from a harvested resource (only the bark is harvested from the tree). Cork floors are made from the waste cork that makes wine stoppers. Cork is appealing to many homes today because it is a renewable resource; a recycled product and with water-based finishes and adhesives creates a long lasting, comfortable floor. A relative newcomer to the natural flooring market, bamboo is a grass that regenerates faster than wood making it an excellent green-friendly product. The hardness varies a bit more than wood but offers a similar look and feel. Today’s laminate floors are available in a multitude of designs, patterns, and textures, yet they all consist of four main components that are bonded together. On top of these layers is a final wear layer that provides protection and wear resistance able to stand up to even the most active households. Visit Kermans Flooring in Indianapolis to get a hands-on feel for each hardwood style. While you are there, our design consultants can talk to you about your specific needs and make recommendations on what style of hardwood is best for your home. Once you’ve selected the right hardwood, the next step is hardwood flooring installation. We are located in Indianapolis (between Castleton Mall and Keystone Mall on 82nd Street) and we serve Indianapolis, Fishers, Carmel, Zionsville, Avon, Greenwood, Geist, and other surrounding areas. "Like" us on Facebook to receive flooring tips and our sales.